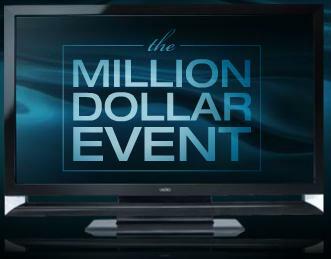 After spending a cool $3,000,000 on a Super Bowl Ad, renowned budget HDTV maker Vizio still had a cool million to blow on 55", 1080p, 120Hz LCD giveaways. They'll be giving away one set every week from the week of Feburary 23rd until August 14th. Entering is painless. You punch in your information ONCE, and you're in all giveaways from the beginning until it's over. No need to reenter. Of course, the sooner you get your one entry in, the more weeks you get a chance to win. First Ever Opportunity to Win a Pre? 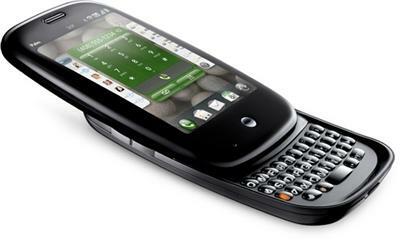 The Palm Pre is one of the most talked about phones of 2009 from a company everyone had already counted out. Its unique WebOS has a host of drool-worthy interface features, and its screen is bright and full of color. It's one of the only phones Fortunz.com knows about that has a first party inductive charger (no cords! ), although that charger is sold separately. Hit the link below by February 17th. You may have to register your stuff to become a Tell Us panelist first, and then you'll have to put your info in again at the entry site. But who cares? It's for a Palm Pre. HTC is giving away 120 Fuze smartphones. Want in on the action? Register here and play once daily until April '09. In addition, HTC is gifting some blogs with a Fuze for their readers. Engadget Mobile is giving away one at random to the commenters at the contest post. Ends 12/19/09. Boygenius is giving away another if you subscribe to their feed AND leave a comment. Ends 12/21/09. 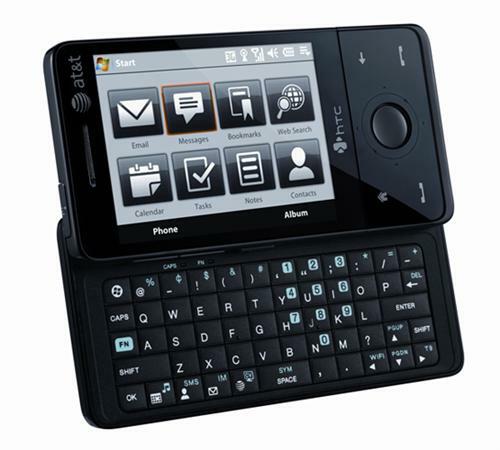 Good luck, and catch some hot Fuze action after the break if you want to know more about the Wi-Fi capable, qwerty Windows Mobile smartphone. Win a 10" Advent 4211 from PCWorld! Future Competitions and PCWorld (UK) are giving away a snazzy new Advent 4211 (a rebranded MSI Wind U100) netbook with Xp Home. What's a netbook? 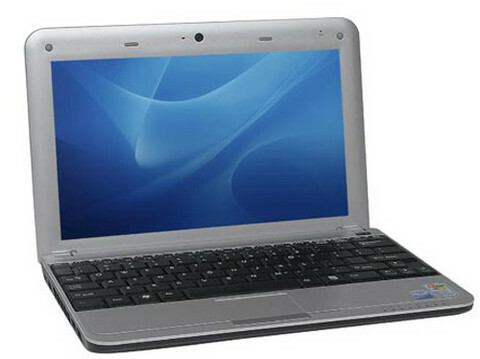 A tiny, low-powered device with screens ranging from 7-10 inches with a laptop form factor. Most of the present lot, including the Advent, use the efficient Intel Atom processor to bring you 1.6ghz without killing your battery. The great portability and longer battery lifes (4-5 and half hours with a 6 cell batterY) typically attracts writers and students, though many of them have seriously compromised keyboards. Fortunately, this Advent is a 10" unit, making keyboard cramping less of a concern. The contest ends October 21st, and entering is a simple as entering your name and email address. Good luck, and check after the break for a Youtube review of the Advent 4211. 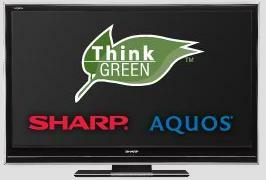 TBS and Sharp are giving away a 46" LCD TV to one lucky winner. The contest shamelessly exploits appeals to the growing enviornmental awareness of our generation by asking you to pledge to turn off your energy-sucking TV your lights while you watch Game 4 on TBS. Yes, they want you to conserve energy—they just don't want to conserve their ratings. At fortunz.com, we're pretty sure they aren't auditing entrees, so be a rebel. Turn on an extra light during the game, and watch FX instead. We won't tell. You can enter once daily until October 16th. Entry is easy, but this is a big contest, so the odds probably aren't in your favor. 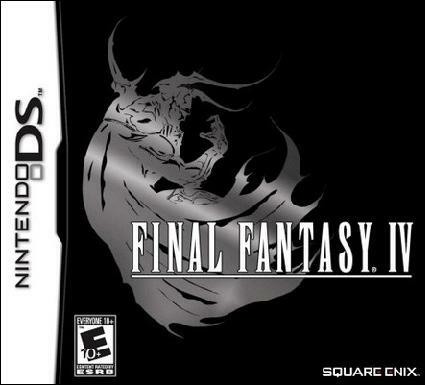 One the better games in the Final Fantasy franchise, Final Fantasy IV has been remade by Square Enix for the Nintendo DS. 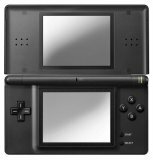 Now DS Fanboy is giving away their review copy (read the review here). You can enter once per day by simply leaving a comment at the contest post (linked below), up until September 17th. Good Luck. fortunz.com likes to bring you easy-to-enter contests from small blogs with great odds of winning. But sometimes the prizes are too good to pass up, and we bring you impossible to enter contests from entities where you are more likely to be struck by lightning while scratching off a lotto ticket than to win. Which category does this contest fall into? Well, let's just say you don't want to be eating foods rich in iron right now. 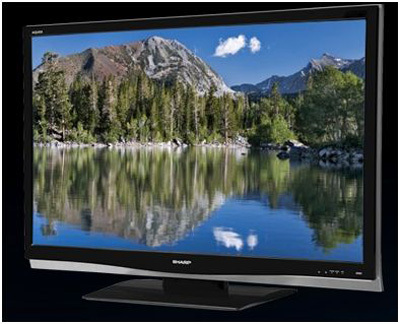 Gizmodo has teamed up with their sponsor Sharp to bring you a chance to win a 37" LCD HDTV. If you've been putting off the inevitable upgrade, this might be just the contest you're looking for. Entering involves answering 11 TV trivia questions, some with easily googable answers, and others that are complicated enough that you may just bypass building a planet-sized supercomputer and just fill in "42" and be done with it. Men already at risk for male-pattern baldness are encouraged to consider the risks before attempting to answer these questions. Once you have your answers, email them to the address provided, and cross your fingers. As of the time of this posting, Gizmodo had not yet posted a deadline for the contest. So err on the side of caution and enter soon. Open until September 12th. Ninja and Pirates. It's a question that has plagued guys nights out since the dawn of time. Or at least since there have been pirates and ninjas. Well if you've spent a great deal of time working on that particular conundrum, today you can tell your wives and girlfriends that it wasn't actually a waste of time. 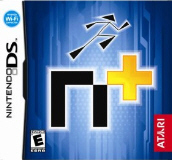 Today, you could a win a DS Lite and N+ the game by wielding your solution to the puzzle, because VideoGameBlogger.com is giving them away and they're asking just that question to wannabe winners. All you have to do to enter is provide a good answer to the question “Ninjas versus pirates. Who would win?” in a comment on the contest post. The best answers will thrown in a hat and the blogger will choose one winner randomly. You have until September 26th to enter. Is GPS just one more way for Darwin to help cleanse the gene pool? Stories about people ignoring rivers and cliffs because their GPS told them to go a certain direction are a pretty constant source of entertainment in the blogosphere (see a couple of stories just to the left of this post). Is it because some GPS units come equipped with alluring female voices that just won't be disobeyed, or are people really as stupid as they seem? Well, now you've got a chance to win one of your own and find out if it has any additional uses. 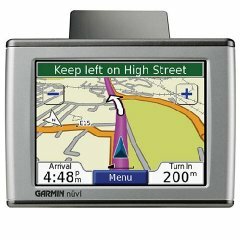 Celebrity cafe is giving away a Garmin Nuvi 350 GPS unit to one lucky winner. You have until October 31st to enter, but you can enter once per day if you want to increase your odds. And if your GPS asks you turn into the Potomac, well… do what seems right. I Am Legend (DVD), Apple iPod shuffle Sport Case, set of Zune Originals art prints, Energizer cellphone charger, Super Mario Galaxy X-mas stocking and ornament, Lair fake Zippo lighter, Heavenly Sword letter opener, Hot Shots golf balls, Nokia beer cozy, stuffed TiVo toy, Pursuit Force glove and sunglasses, plus at least four backpacks / bags filled with all kinds of funky stuff! What is "Swag"? It's cool goodies sent by companies to the press in hopes of favorable coverage. 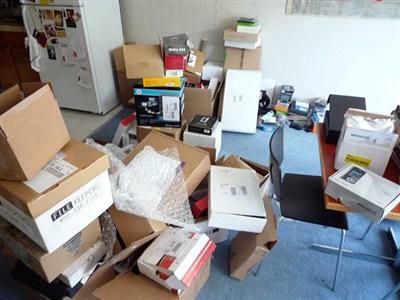 In Endgaget's case, a lot of that swag consists of gadget accessories. Lots of blogs give that stuff to their readers. Entering is a simple as leaving a comment (and confirming it if need be). But make sure you only leave one. You've got until this Friday the 29th to enter.